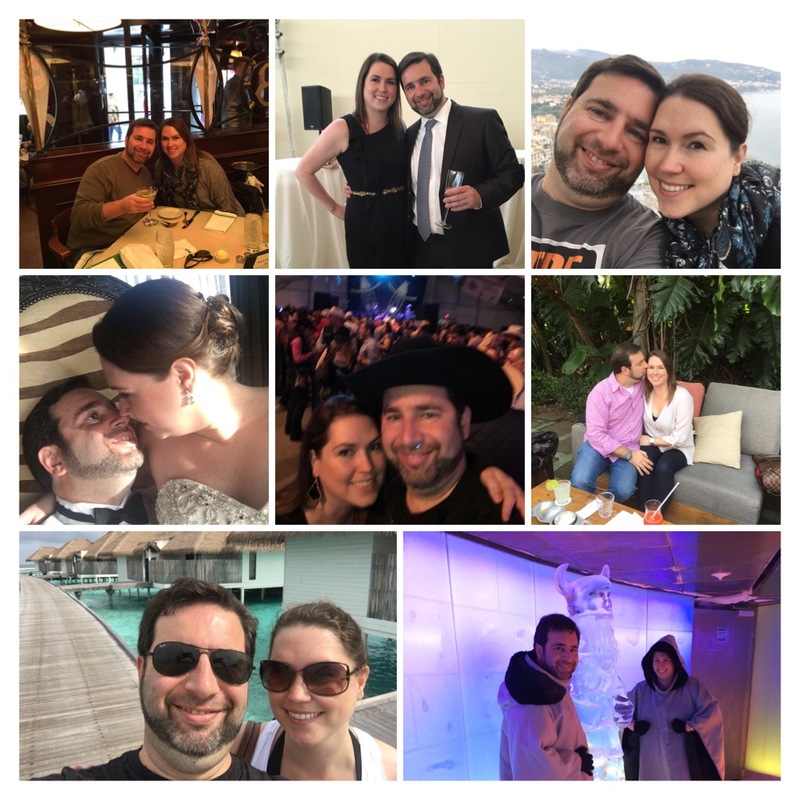 2016 was a great year in many ways… Janelle and I bought a house, got married, had two honeymoons, ate at several restaurants ranked among the top 50 in the world and go to enjoy our first year of marriage in fabulous style. To be fair, 2016 had a few lowlights, between losing my grandfather, and job. Yet overall, the highlights made me end 2016 on a high note, and very optimistically looking forward to 2017 as an even better year. As is common, during this calendar transition it also is good to look back on all our blessings. In July we had a wedding that has been one of the most fun parties I ever attended. Between a beautiful mixed Faith ceremony, a very warm reception surrounded by family and friends and even a Disco Ball, the party was a great hit! Right after the wedding we went on our first honeymoon to Tokyo, the Maldives and Singapore. While the trip had many special moments, including a stay at the Park Hyatt Tokyo (from “Lost in Translation” fame), a visit to Restaurant Andre in Singapore (One of the top 50 restaurants in the world) and a fun night exploring the Izakayas (small restaurants and bars) in Tokyo. Our favorite part, was spending a week in a heavenly Overwater Villa in the Maldives, where we were pampered and treated like royalty by the staff. A few months later, through my work running Total Dream Travel, we got a great opportunity to take our second honeymoon. Officially it was a FAM trip on the Norwegian Epic from Barcelona to sail the western Mediterranean. During this trip we learned how to make our own pizza in Naples, toured Rome and the Vatican and had a great food tour in Florence. Before the sailing we got to walk all over Barcelona to check out the Sagrada Familia church, and once again got to enjoy dinner at another one of the Top 50 restaurants in the world. A full Tapas dinner at TICKETS, owned by the brother of Ferran Adria (former owner of El Bulli). Dear friends and family, Cheers to 2017! May it be the best year yet!